Emily caught my eye a while back, her beautiful form and practice looks like it originates from a Degas painting and her lovely soft approach makes for a truly lovely class..
Before becoming a yoga instructor, Emily trained and worked as a professional ballet and contemporary dancer. She has performed all across Europe appearing in a number of company performances and projects, fashion and music videos. 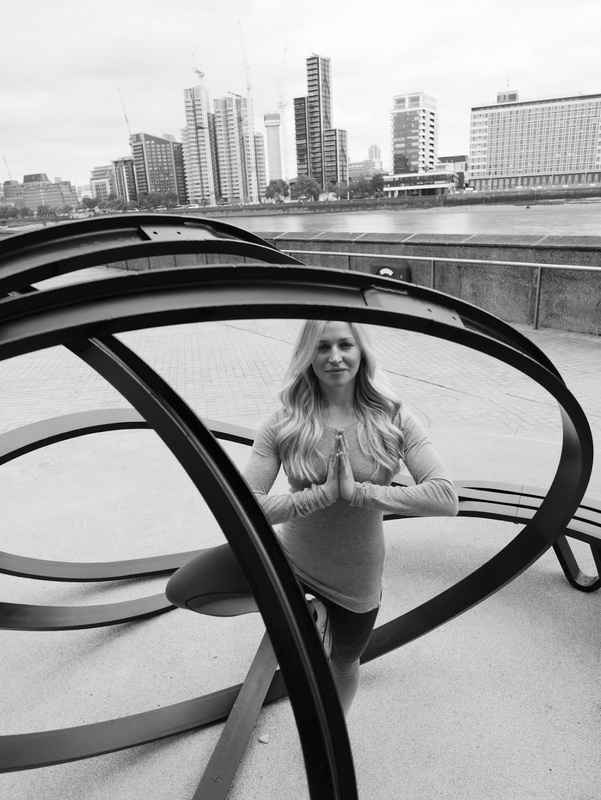 This is another one of London's great teachers, teaching at studios such as the famous Triyoga, I caught up with her to find out how she started and what makes her tick. Do you remember the first time you practiced and what brought you to the world of yoga? I do, I was living in Eastbourne with my parents because I was working as a professional dancer and as a result couldn’t afford to live in London. I felt so lost and disconnected from who I was at the time and I was putting so much pressure on myself. I started taking class at a tiny studio called the Yoga Life Studio which could only fit six people in it. Taking yoga classes allowed me to tune in to my body and myself again. When you are dancing you are always focused on pushing your body in a competitive environment to perform, whereas yoga allowed me to be kind to my body and look after it. I think that is so important, I really tuned in to who I was and what I wanted, not what other people expected or wanted from me. What are your favourite studios in London? The Camden Triyoga studio is one of my favourites, it has such a great energy, and the studios are so nice to practice in, they have great food from the Nectar cafe, and I love using the infrared sauna after class. What advice would you give anyone about becoming a teacher? Go for it! We all have something special to give and teaching yoga can be a beautiful way of sharing yourself with others. You will learn so much about yourself during your teacher training as well. How have you seen the yoga industry develop in the past few years? Yoga has grown so quickly and there are so many studios and teachers out there now, some people think it dilutes the essence of yoga and I can see how in some ways it has, but I think that the increase in its accessibility is a great way for more people to find their own practice in their own way. Whether thats because they like the fashion or social aspect of it, I don’t think matters. If it brings someone to practice yoga then I think that, that is what is important. Don’t over complicate things. Eat real food. Simplify. Move your body. Breathe. Sleep. 5 items you can’t live without? I think I could live without most things, apart from a kettle because I love tea so much and I probably drink at least twenty cups a day.